Is it time to change my car? 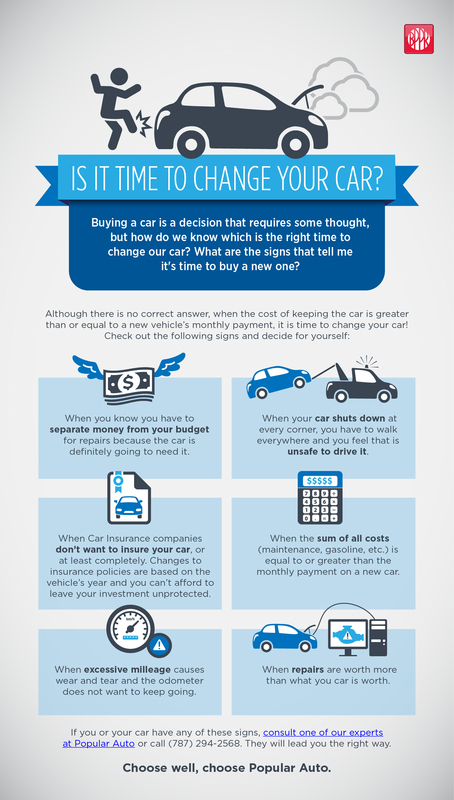 How do we know when it’s time to change our car? Read about the signals that tell us it’s time to change and make the decision. Please insert all required fields, thank you! Which credit product is best for your business? Be part of our Facebook community and learn more about Popular. We are here to answer your questions. Suscribe to our YouTube channel and learn more about Popular, watch tutorials and get financial advice. Follow us on Twitter and interact with Popular. We are here to answer your questions. Be part of our Linkedin network and learn about Popular Inc. and career opportunities. Suscribe to our RSS feed and receive the latest posts.